Reba Nell McEntire was born on March 28, 1955 to parents Clark and Jacqueline McEntire. 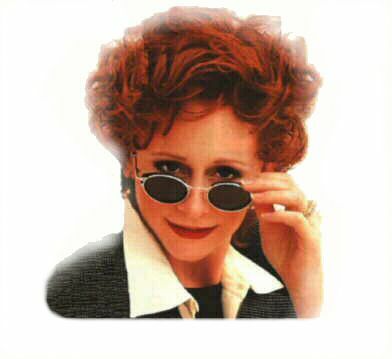 Reba was born in McAlester Oklahoma, and raised in Chockie. She was one of 4 children, Alice, Pake, Reba then Susie. Reba attended Kiowa High School and then went on to major in Elementary education, and minor in music, at Southeastern State University in Durant, Oklahoma. She is currently in her second marrige. Her first marriage was to Charlie Battles. Her husband now is Narvel Blackstock who is also her manager. She has one child, Shelby Steven McEntire Blackstock. Who was born on February 23, 1990. She has won numourus awards for her musical talent. When Reba was 13 her mother took her and Pake and some of her friends who were in the Kiowa Cowboy band to local clubs to perform. This was Reba first training on the stage. They began to do more shows and eventually they became know as the Singing McEntirers. They even recorded a record together. At age 19 Reba was asked to sing the national anthem at the National Rodeo Finals in Oklahoma City, OK. Red Stegall was there and heard her sing. Reba's mother asked Red if Reba could sing with him. Red was hooked and he knew Reba had mega-star quality. He began to work on getting someone else to listen to Reba. He eventually got a man from Mercury records to listen to her. Reba's mother took Reba to Natshville to audition and Reba was very nervous. She kept making excuses to stop. Finally Jackie said to her daughter, "Reba, if you don't want to go through with this it's ok, but let me tell ya something little girl, If you do this I'll be living my dreams through you." That was all Reba needed. Reba went on to Nashville and recorded her first album with Mercury in 1976. "I don't want to be a one night stand" would become her first single. "Can't Even get the Blues" would become her first #1 hit.